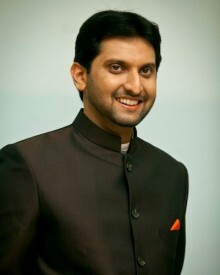 Roshan is a graduate of the National Law School of India University, Bangalore. Previously, Roshan was an Associate in the Australia-India, sports, telecommunications and media practices of RLR Lawyers, a boutique Australian law firm with offices in Melbourne and Sydney. In addition, Roshan is also the Chief Legal Counsel at Copyright Integrity International, a world leader in the protection of digital and broadcast rights. Roshan is a former state-level footballer and was awarded the prestigious Australia India Youth Dialogue 2015 Fellowship recognizing his potential as a Young Leader in sport in the Australia-India space.